To make room for the panniers the pillion passenger’s legs have to bend quite a lot.This causes the material of their trousers to gathers painfully at the back of the knee, leading quickly to a cramped sitting position. 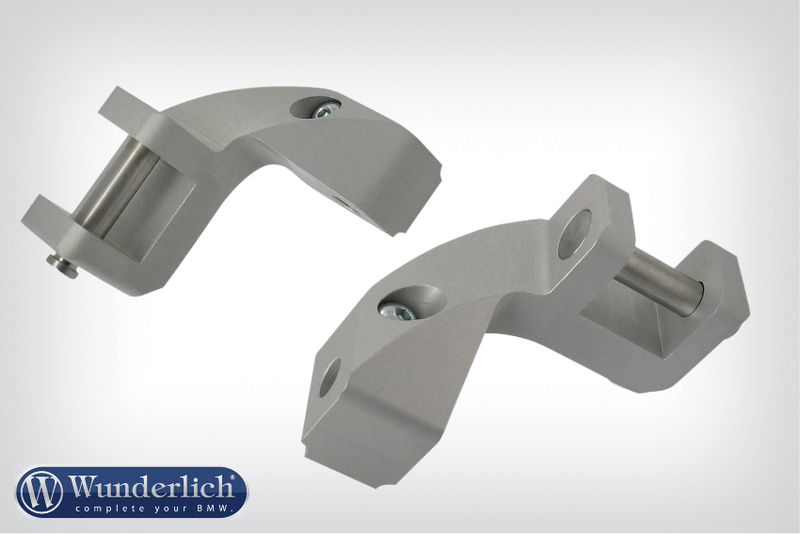 Fitting the Wunderlich lowering set will move the footrest down and slightly forward, leading to a relaxed and comfortable sitting position, even on long rides.Made of machined aluminium and anodised in silver. 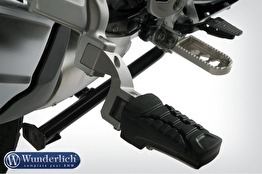 The product comes with all the necessary mounting parts. 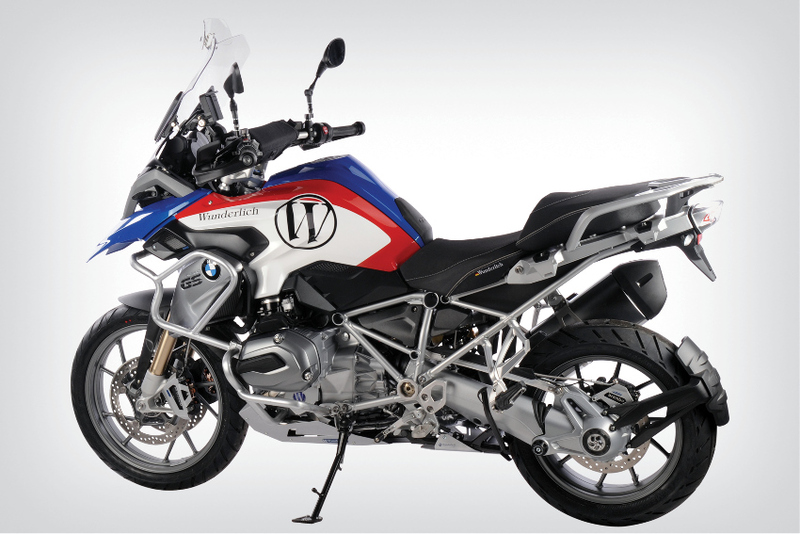 There’s no need to alter the original holder, no loss of function, and the BMW-system panniers can be used as freely as before. Significantly less acute knee angle.